Coast, once known as Salt on the Beach, has undergone a massive refurbishment to make the most of its beach-side outlook. The renovation has seen the addition of two outdoor bars to make patrons feel like they’re nestled between the dunes. The venue includes a special entry off the beachfront to take care of the thirsty beach crowd. The atmosphere that’s been captured by the establishment is cool, beach-house glam. The venue offers a variety of dining options including the main tavern Coast, with ocean views and industrial marine decor; Cargo, an elevated view and intimate, adults-only space, with a cocktail and modern tapas menu, as well as a popular DJ lineup; and Kiosk the takeaway hub for beach lovers serving coffee, cool drinks and casual eats. Because of its location and open air nature, the refrigerated cabinets had to be able to withstand the hot, Australian summer temperatures. Williams cabinets were chosen because they’re built to handle temperatures of up to 43 degrees ambient. The Williams Refrigeration team worked on the engineering of the Cameo to help reduce the costs to the client and specially delivered the cabinets before their actual release date. Several cabinets have been utilised in the build – a mix of new Cameos with triple glazed doors, Opals, Opals with blown airwells, Pizza cabinets plus a solid door Boronia for the coffee section. The Consultant/Designer was Chris Arrell of Hospitality & Foodservice Consultants, the Kitchen Contractor was Nick Fields of KBR Commercial. 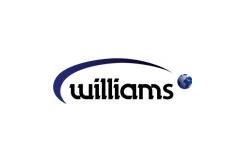 For more information, visit www.williams-refrigeration.com.au. Posted in Case Studies and tagged Refrigeration, Williams.